Auburn, WA – In an industry where on the job safety is top priority, company safety policies and procedures is a critical program that is in place industry wide. It’s how the program… is implemented and followed through that leads to the success with on the job safety. Auburn Mechanical, a leader in the mechanical construction industry, has proven that there program is a success. With services consisting of Plumbing, Fabrication, Pure Water Service, HVAC/Refrigeration, and Mechanical systems, risks are an everyday occurrence. Auburn Mechanicals Safety Director, Joe Geist has analyzed these day to day risks and helped facilitate a program that has shown success, with being awarded the MCAA Safety Excellence Award. The national award is one of the top honors in the industry. “Our management and employees are truly focused on maintaining a safe and healthy workplace for all involved. This attitude is evidenced when visiting the work areas, in both the offices and the construction sites. We are all committed to ensure every employee goes home at the end of every day without injury. This is more than a corporate mantra, it’s a way of doing business,” said Auburn Mechanicals Safety Director Joe Geist. Stacy Johnson, President of Auburn Mechanical, received this national honor at the 2014 MCA Annual Convention in Scottsdale Arizona. “I was honored to accept this award on behalf of our employees who everyday support a safe and injury free work environment thru their examples and actions. It takes commitment at all levels of a company to embrace a corporate culture of safety. This is only achieved thru constant awareness and perseverance,” said Johnson. 52 Mechanical Contractors applied for this award in 4 categories. Auburn Mechanical was in the third category based on 302,476 man-hours worked in 2013. 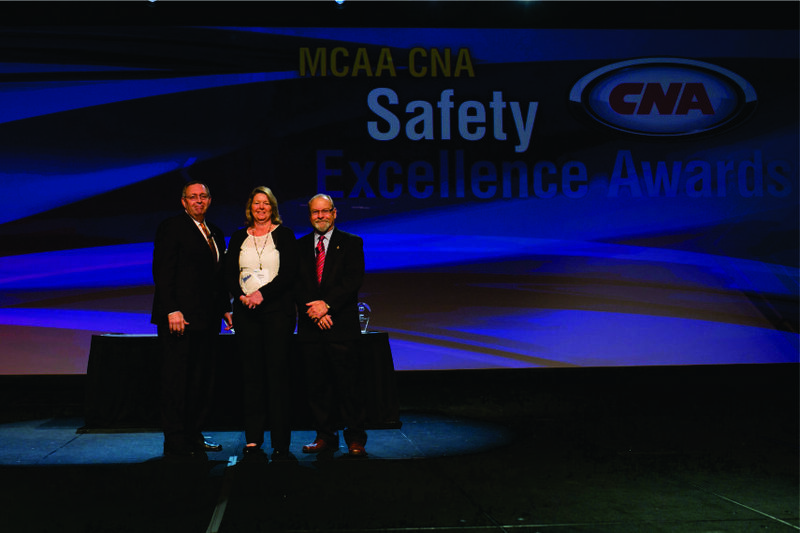 MCAA Safety Excellence Award was open to all members of the Mechanical Contractors Association of America.